The AlphaView Solar 19 is a cost-effective LCD replacement display for many patient monitoring systems, including the GE Solar family of products Solar 8000, Solar 8000M and Solar 9500, bringing the popular patient monitor device to the LCD digital format. Patient monitoring displays are vital to care in operating and emergency rooms, intensive care and critical care units. Additionally, it has proven invaluable for respiratory therapy, recovery rooms, out-patient care, transport, radiology, cath labs, gastroenterology departments, ambulatory, home, and sleep screening applications. Our systems are able to capture high-speed transitions involving the heart and we are able to offer solutions not found in standard displays. Our wide variety of patient monitor systems are created to work seamlessly with technology already available and to replace outdated CRT equipment. 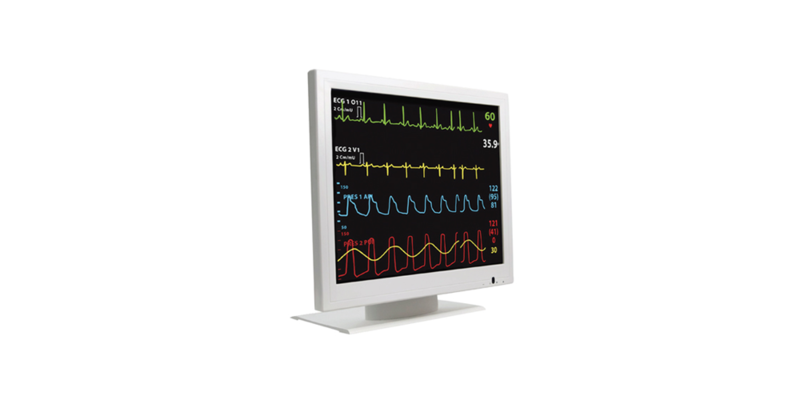 Designed for vital signs monitoring, this 19” touch screen optional, LCD display is suitable for patient care environments. Whether the Solar 19 is used in high-acuity, preoperative or obstetrical care, the slim bezel and small footprint make it an ideal replacement for bulky CRT displays.